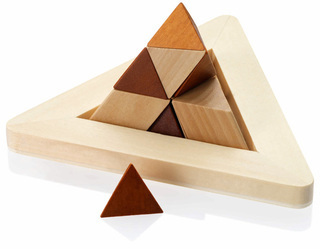 Fun brain-bender that requires assembling solid wood blocks into a three-dimensional pyramid. Includes solution manual. Wood.